We just returned from a little family trip to Washington DC. I learned many things...such as, when the police tell everyone to clear out of the park across from the White House, they don't answer questions like, "Why? What's going on? Should we be worried?" I learned that even though you KNOW you'll be walking miles (and miles), you'll still wear your wedges to The Capitol and resort to wearing 17 Band-Aids like a toddler. And, I picked up a few tips I'd like to share about air travel. You might know that a long, long, looooong time ago, I was a flight attendant with Delta. Back in the days when airlines served food and stocked magazines and decks of cards. Remember that? These are not flight attendant tips, though. These are tips gained as a passenger. Hypothetically speaking, let's say your family of 3 is traveling from, oh...Houston to DC. Hypothetically. And let's say that you're assigned middle seats in different rows. Let's say that you bake and decorate cookies for the gate agents in the hopes that they'll help you find 3 seats together. MY TIP: if the gate agent will not even humor you and take a peek at your tickets AND will not even open the box of cookies and say thank you, TAKE THEM BACK!!! Save the cookies for the flight attendants...they probably haven't eaten all day. Middle seats: They're bad enough when you're sitting next to someone to whom you are related. When sitting next to strangers, it's all kinds of awkward. Claim the armrests ASAP. The window seat has the wall, the aisle seat has room to breathe. Those armrests are your only hope of personal space. Upon approach and landing, it's important that you can see out of the window. If the person next to the window has their entire face covered in a blanket, it is perfectly acceptable to reach over and open the window shade. If they reach over and close it, fist fight. Those are my tips...here's the rolling bag tutorial. You might have seen this cookie design as a part of the flight attendant cookies I made a while back, one of my favorite cookie sets ever. I love them. 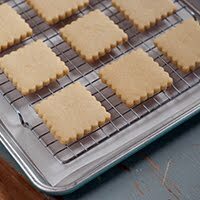 Use a #2 tip to outline the cookies. Reserve some of this piping consistency icing for adding details later. 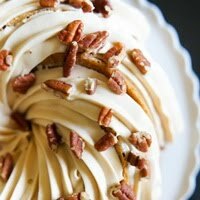 Use a #1 tip to pipe a wheel with the plain icing. Thin the blue icing with water, a bit at a time, stirring with a silicone spatula, until it is the consistency of a thick syrup. You'll want to drop a "ribbon" of icing back into the bowl and have it disappear in a count of "one thousand one, one thousand two." Four is too thick, one is too thin. Count of 2-3 is good. Cover with a damp dishcloth and let sit for several minutes. Stir gently with a silicone spatula to pop and large air bubbles that have formed. Pour into a squeeze bottle. Flood the outline with the thinned icing. Use a toothpick to guide to edges and pop large air bubbles. Use a #2 tip to add the bag details with blue icing. Use a #1 tip to add the zipper and remainder of handle with the plain icing. ....I mean, time to apply the luster dust. Mix a bit of the luster dust with vodka until smooth. 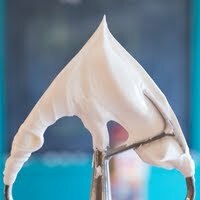 Use a small paintbrush to apply to the areas of white icing. The alcohol will evaporate, leaving just the metallic finish. What travel tips do you have to share? 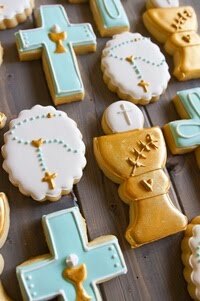 Oh yes, as a globetrotter that likes to bake - I want to make these cookies! The suitcase and the USA cookies would be perfect. Maybe a globe cookie though to fit a trip from Korea back home to DC. I have absolutely no travel tips, just a comment. 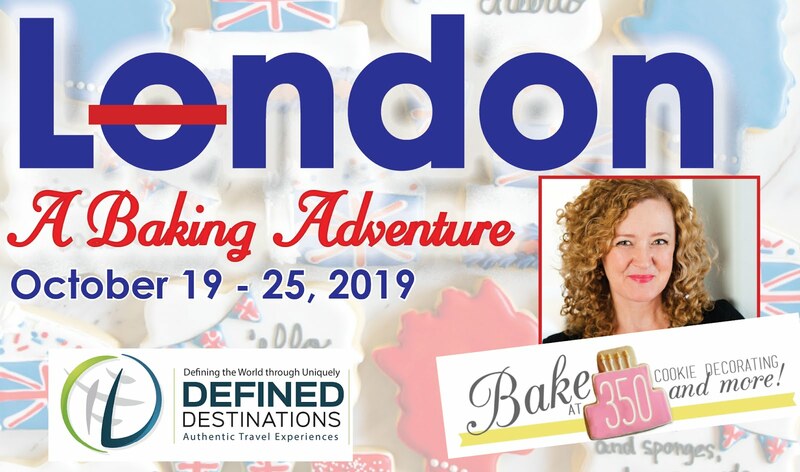 How miserable could someone have to be at their job to not just smile and shriek at the sight of these cookies....just sayin', they are beyond adorable and look better and more delicious than any food I've ever seen in any airport, and, I've been in my share of terminals! You're so funny, Bridget:) Your luggage cookies are so darn cute; I MUST make them for SOMEONE! My in-laws are planning a trip to London in September, so I think I will make these for them. Thanks for the template! Your "supervisor" sort of blends in with the b/w polka dot chair:) Cute. Your "travel tips" just sound like: "How to be a rude and obnoxious traveler." You really just elbow people and pretend it was an accident? That's really mean. Elbows hurt. I'm sorry that you obviously can't understand to take a joke. Anyway, I don't see anything wrong with her tips - people getting in my personal space is one of my biggest pet peeves. It's not my responsibility to make sure the guy next to me is comfortable by sacrificing my own comfort and personal bubble for a 4+ hour flight. I bet you're one of those people who takes up a seat and a half, aren't you? Amazing cookies. Frankly given the way most of the people that I sit next to on planes behave I think an elbow claiming an armrest is the least they deserve. I once sat in front a man who wanted to 1. rest his newspaper on the back of the seat so it flopped over my head and 2. then wanted my seat actually bent forward when I complained about the newspaper. Not just keeping my seat upright (reclined was not an option), he actually thought he should be able to push the seat forwards and kept pushing and shoving and making my flight a misery for 12 hours. If I could have given him a nudge with my elbow I would have! I am sure that Bridget meant this with a sense of humour. We're heading to DC for a big family reunion next week. I'd love to hear what you loved there! Oh! And the panda at the zoo!!!! Haha! I love this post and these cookies!! So cute! These are awesome Bridget! I remember these roller bag cookies from your great flight attendant post a while ago. I'm glad you revisited them again with a tutorial. Thanks for sharing! Too cute!!! (Story AND cookies ;) I just love those flight attendant cookies - precious!!! These cookies are adorable - and if any gate attendent didn't even peek at them, she didn't deserve them anywya. I'd have upgraded you to first class!! Oh so cute! The flight attendant cookies are my favorite of the selection but they are all wonderful. Wouldn't the U.S. cookies be sweet for a freshman headed off to college or moving away party? Pinning for sure. You're so adorable! 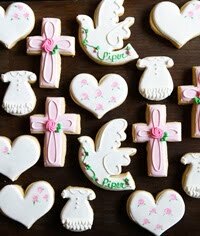 I love your page and I fantasize about being able to decorate cookies like yours. I think that is just a distant fantasy!! What cute cookies. Love the cookies, love the tips, and most importantly, LOVE LOVE LOVE the supervisor sleeping on the job!! Have one that works just as hard! And having grown up just outside of DC, I think your recommendations are great for sights to see, as well as just walking the "Mall" at night. Can't get much prettier than that! Yes! And the WW2 memorial at night is gorgeous! Check your backpack before you load it up for the plane. My policeman son-in-law put brass knuckles in mine cause he worries when we're in Mexico & Nicaragua (we're missionaries) and didn't tell me. He thought I'd find them once we got home from our road trip. Yet get to be handcuffed, shackled and spend the WHOLE day in a Texas jail that borders on Mexico. And never ask the flight attendants...since NO ONE is sitting in the EXIT row seats, who will open the door if we crash? If you're not willing to pay to sit there I guess we'll just have to stay inside. Great tips! I did use the one with elbow a couple of time ;)And did you take back your cookies? Having grown up in the DC area you know to never ask questions when you are near the White House or Capitol. Or make jokes, jokes are frowned upon. My travel tip is always wear your ugliest orthopedic sneakers to Washington DC. :-) My hubby and I went for our "babymoon" when I was six months pregnant with our first baby, and looking cute was NOT high on my list of priorities when I knew I was going to be waddling around museums all day! If I ever made a cookie every remotely as amazing as these, I don't think I could bear to give them away to strangers -- even if I was hoping to get something in return! You are so talented. Seriously impressive! Thanks you for all the tips!!! I will suggest keeping the cookies for the people that are sitting next to you and holding kiddo's hand and with your pretty smile, just ask them can you please change seats?? i can give you some cookies?? maybe is not the correct thing to do…but sometimes has work for us..well I have never bring cookies, maybe next time I take some cookies and ask some 1st class travelers to change seats ; ) ….JK!! Love your post and most of all the cookies!!! Cute! And, I loved the tips! Those flight attendants don't know what they're missing! Your cookies are gorgeous. Middle Seats are the worst. The end. You're in Houston?!? We gotta meet up! 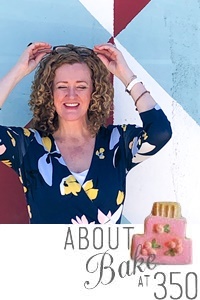 I just flew in there today, then drove to Austin...those flight attendant and suitcase cookies are so cute!! I just lick the arm rest so the person next to me doesn't want to use it!! LOL..I kid! Bridget I really must get over here more often. You a hilarious! I find all time new and materially things for my travelling. Because, I am a tourist and I like your nice cookies. It’s a very different and nice idea. I like your topic for your blog. Good and interesting information. Thanks for your nice sharing. These are awesome! I think you should get a seat upgrade for these cookies. I have always been a people watcher. I've always loved going to the mall sitting and just watching people. Where do they come from? What are they shopping for? Nice sharing! Two years ago I also had a chance to go with washington dc cherry blossom tours. I used to visit United States Capitol, Washington Monument, White House, Thomas Jefferson Memorial and National Gallery of Art and enjoyed there a lot. Washington DC is a fantastic city with great attractions. United States Capitol and National Gallery of Art are my favorite attraction there. Thanks for this nice sharing I love to make these cookies. David I think you have great knowledge about USA tourism. I also want to go with us west coast tours in vacations with my family. Can give me few information about that region and also about some places that are best to see there. Nice choice Howard! West coast or Pacific Coast is the terms of the westernmost coastal state of the United States, usually California, Oregon and Washington. It has many places for enjoyment. I personally visit in this state before my trips from chicago to niagara falls. I want to share some places to go there and enjoy your vacation with family.